Business Lunch Discussion on “Development of trade and economic cooperation between the Eurasian Economic Union (EAEU) and ASEAN. The role of Russia. Business Lunch Discussion on "Development of trade and economic cooperation between the Eurasian Economic Union (EAEU) and ASEAN. The role of Russia. The ASEAN Business Club (ABC) participated in a business lunch discussion titled “Development of trade and economic cooperation between the Eurasian Economic Union (EAEU) and ASEAN. The role of Russia” held at the recent St. Petersburg International Economic Forum (SPIEF) 2018. The business lunch was organised by the Russia-ASEAN Business Council and the Eurasian Economic Commission. 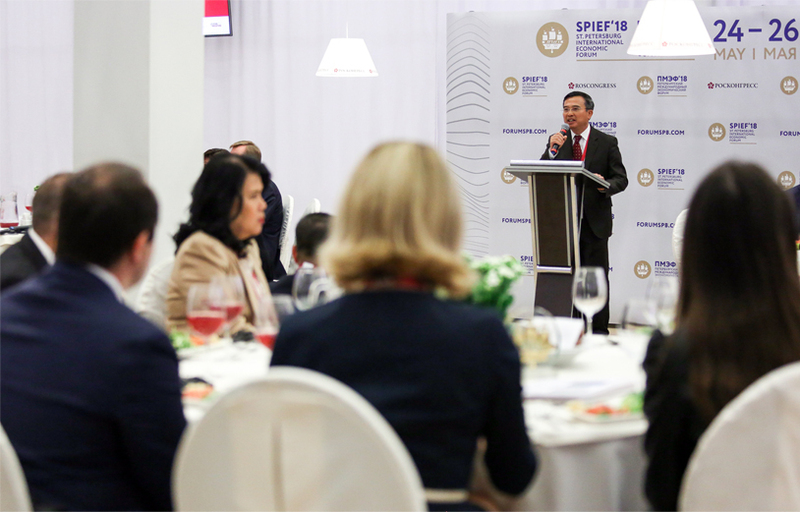 This is the first such meeting that convenes Russian, Eurasian and ASEAN business communities at SPIEF. The lunch discussion was moderated by Madam Tatiana Valovaya, Member of the Board (Minister) for Integration and Macroeconomics, Eurasian Economic Commission. 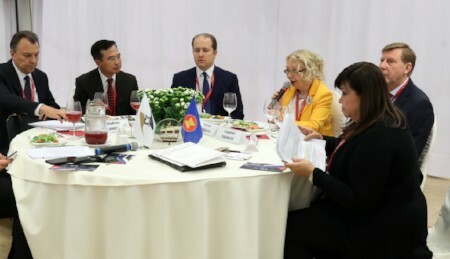 The participants discussed opportunities and challenges in developing mutually beneficial trade, economic and investment interaction between Russian, Eurasian and ASEAN businesses. 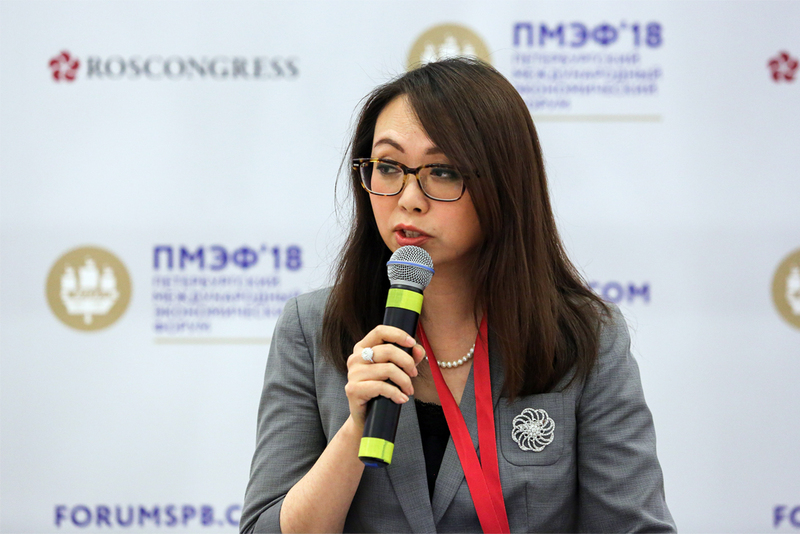 Hong Ju Khee, Director of Operations of ASEAN Business Club shared her thoughts on the potential areas for economic cooperation between Russia and ASEAN where she proposed to establish a common platform to promote better sharing of information between the business communities of ASEAN and Russia. Other business lunch panellists include government officials and business representatives from ASEAN, including Hoang Quoc Vuong, Deputy Minister of Trade and Industry of Vietnam; Armi Lopez Garcia, Chairman of the Philippine-Russian Business Assembly, and Le Truong Son, Chairman of the Association of Vietnamese Businessmen in Russia. SPIEF is organised under the auspices of Russian President Vladimir Putin and this year with the theme “Building a Trust Economy,”. The forum hosted over 150 business events with more than 17,000 participants from 143 countries taking part in the various events in St. Petersburg. Also, about 593 agreements worth US$41.8 billion were signed during the forum.